Most would think being a massive 12 points clear of a second placed team in the league table in January would be a clear indication of harmony in a club’s system. 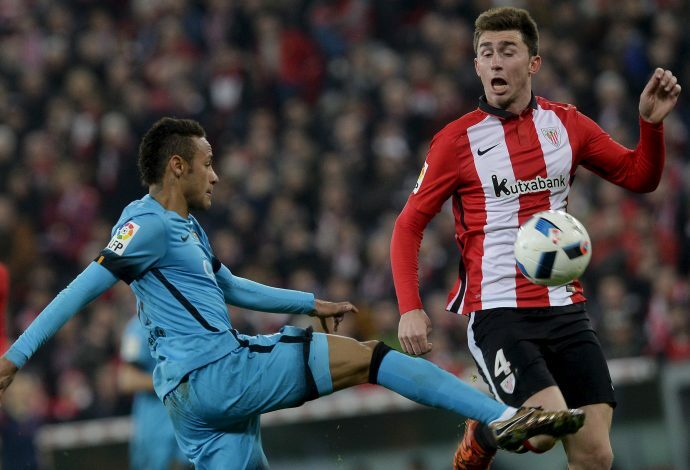 But Man City do not seem to care, and have broken their club record to sign Aymeric Laporte. Athletic Bilbao had released confirmation of a certain club meeting the defender’s buy-out clause on Monday, and almost everyone updated on the story knew he was Manchester-bound. The deal is reported to be around a whopping €65 million, which ironically reminded fans that City’s record fee is considerably lower than the rest of England’s top six clubs. On the other hand, the ambition from boss Pep Guardiola and the club higher-ups is on display in this story, as strengthening their side further clearly means more than boasting their current lead in the league race. The Sky Blues, up until now, have been frustrated over a weak link in their defense, which was widely exposed by their loss against a rampant Liverpool several days ago. And now that that void has been filled by a young prospect with high hopes and potential, Guardiola’s side looks set to go on another run of stunning results. The 23-year-old Frenchman has officially become the second most expensive defender in football history, second only to Virgil van Dijk’s £75 million move to Liverpool.